This blog will remain but no new posts will be added. 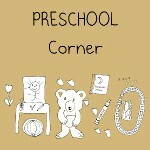 This book is so well written and is a very easy to use with young children. There is far more factual and story detail than I have found in most children’s History books and it is written in a very friendly style with great pictures and maps in between. It doesn’t trivialise history like many modern Children’s History books – and the illustrations are realistic and helpful. It has been perfect for my 5 and 8 years olds and even my little ones enjoy listening. Find it on Gutenberg under Children’s Bookshelves. Here is the direct link to the HTML version. Reprints are also available on Amazon.com. Although I think the author refers to evolution in some of his other History books, I haven’t found any evolution in this book as its focus is modern American History. Also, because of the times he lived in, he does speak largely from a Christian worldview. Again I find the writing meaningful and less immersed in an incorrect worldview than many modern History books. I have printed these books and plan to have them spiral bound and we are using them in our homeschool. Do you have a vision for your parenting? I find I need to renew my vision regularly so as not to get stuck in reactive mode. I need to be proactive in caring for and raising up these little souls that have been entrusted to me. I so easily slip into auto-pilot. 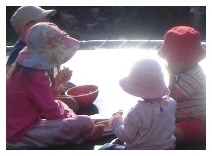 Do school, read story, play game, make lunch… – it takes less energy than being aware of my children’s “heart” needs and meeting them. Its so easy to be busy with the work of homemaking and schooling that I often want to put the mothering aside for when its more convenient. I need to remind myself of my priorities. I need to use my first and best energy all day for my husband and children – the other things will follow. When I am reminded of my vision, I am inspired! I want to raise children that love God with their whole hearts and are ready to serve Him. I want to be sewing into my children’s lives and characters each day. It takes more energy to sit down with them and say: now lets talk about this, than to quickly brush it off. I don’t want to miss the few opportunities I have to shepherd their hearts. I want to do it while there is still time! Have you read Shepherding a Child’s Heart by Tedd Tripp? Have you ever ‘liked’ a TV evangelist on facebook? Ever been inspired by a ‘motivational’ speaker in church. Ever gone to church to see what will happen next? Ever applauded the band at the front pretending to “applaud” Christ? Ever been more focused on the church tea than on hearing the word of God? I have done most of those. A W Tozer died in 1963, after a life of intimate communion with the Lord. This excerpt from his article on Religious Boredom is a great challenge to our churches today. Although, this article is not new, I believe it is worth reading. If Tozer was appalled at the state of the church in his day, what would he think of the church today? How can we lead people to the Christ of the Bible through entertainment, fun and excitement. The only way to God is through His Word. I am so grateful to God for leading us to a church that preaches from the Bible and does not ‘entertain’ its congregation. I am so challenged. Each day I find myself face to face with the God of the Bible through His Word. My 3 year old wants to go outside to play. I am happy for him to go outside but I am in the middle of homeschool and I don’t want him to get his clothes soaking wet as is his usual custom. I tell him – “sure you can – but no water!”. He can play with sand, soil, grass, cups berries, sticks, spades – but no turning the tap on – no water! “Do you understand Mommy?” “Yes Mommy.” “What did Mommy say you shouldn’t do?” “Play with water”. “Thats right – no turning on the tap. If you turn on the tap, you are disobeying Mommy.” “Okay Mom.” The two boys run outside to play. 20 minutes later I call the boys in. One is dry and my 3 year old is completely drenched from head to toe and covered with mud. It is smeared all over his clothes and caked on his face. Normally, I would be tempted to laugh – but because of our conversation where he understood me and promised to comply, the frustration rises up inside me like a volcano. How could he so defiantly disobey me and stand there with a happy smile on his face. I quickly turn away and go inside so that I don’t shout angrily at him. “Help me Lord. I feel so angry, I don’t know what to do – how do I respond? How do I help Him to learn to obey. I need grace Lord.” The Lord calms my heart. I go and start the bath running. The anger feels like paint inside me – slowly running down the walls and getting less and less. I step out in faith – He give me His grace in the moment – now its not just me, its me and the Lord. I call my child to the door, still not saying anything for fear I say something in an angry tone. We take off the muddy clothes, wipe his feet and head for the bath. I gently sponge him off. He is subdued. He knows – but he was overwhelmed in the moment by the fun of it all – he’s only 3 years old after all. Finally I take a deep breath. “Mommy is not angry with you, sweetheart.” As I say it all the last anger flows away and is replaced with love for my little sinner – a little sinner who needs grace just like I do. We talk – his heart is open – and so is mine. We deal with the disobedience and God is able to work in his soft heart and in mine. We are closer together as a result. He is such a precious blessing – worthy of the time it takes to teach him this. At times I have despaired over this child – over whether he will ever learn to obey. While God has never despaired over me – as I sin in my angry responses. He is there waiting for me… to ask for grace. We are sinners – but we are also children of grace. It is only as we surrendour to God each day in our imperfection that he gives us His grace. Do you have any encouragement to share about God’s amazing grace? a great little key combination. So much easier than retyping when the caps lock is on by accident! This is wonderful fun to make. Its something thats so different from the usual cooking and is so rewarding and delicious! 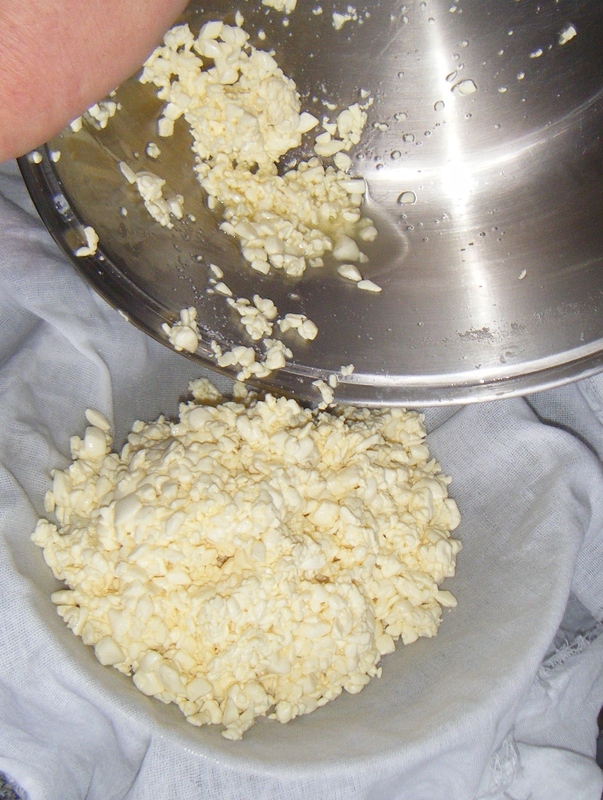 Something that we have had great fun with is learning to make cheese – in very small quantities and only in its simplest form – but its real CHEESE!! 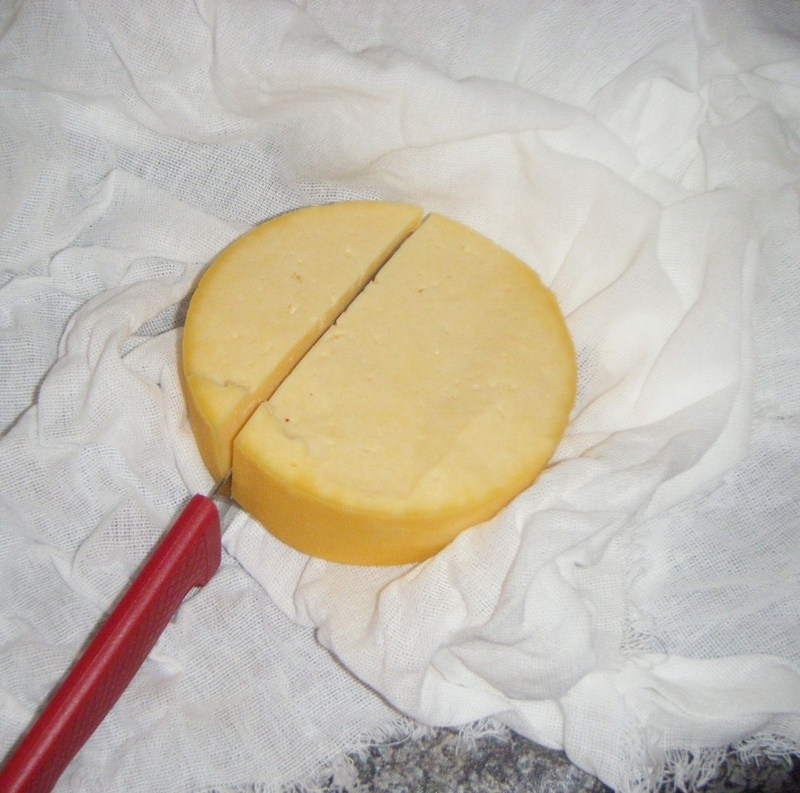 Farm Cheese – or Plaaskaas as we call it in South Africa. I think officially you’re supposed to add a bacterial culture to give it a specific flavour – but we just make it with salt – simple and delicious! Takes some good concentration but once you get the hang of it its easier than you think – and its easier than making mozarella, I think. 2. 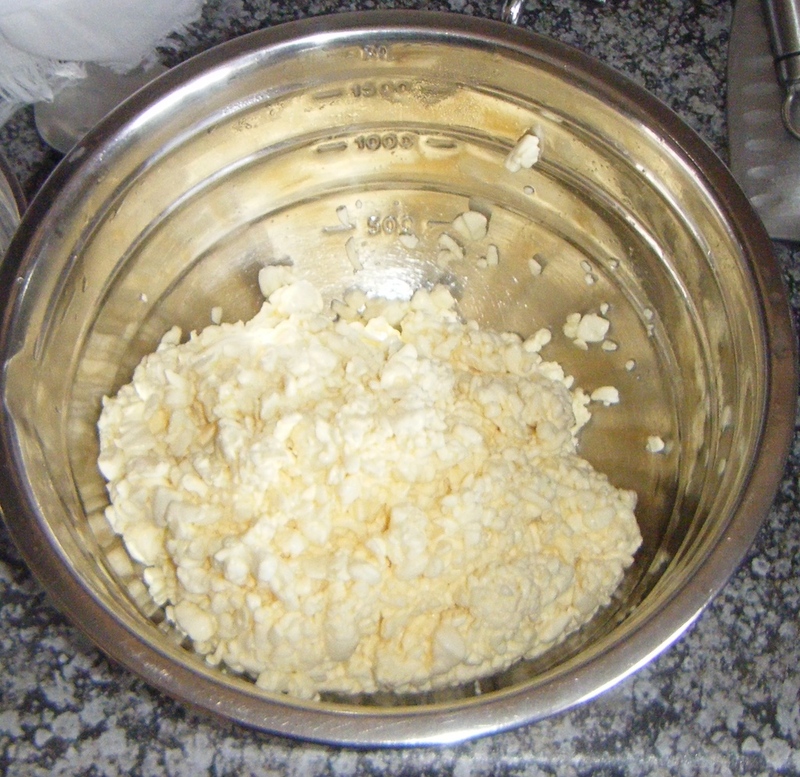 If your milk is unpasteurised you’ll need to add calcium chloride to get it to coagulate (go solid). 2. 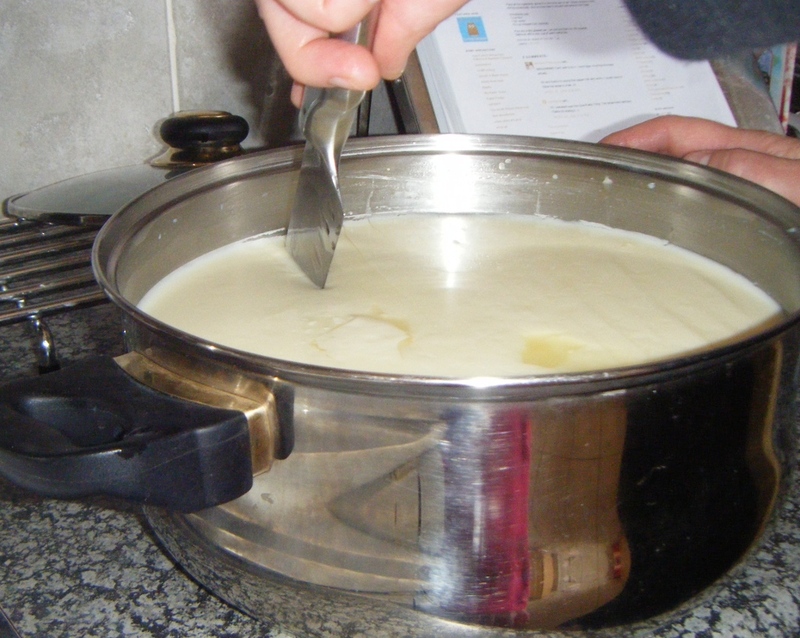 Pour your milk into the large sterilised pot. 3. 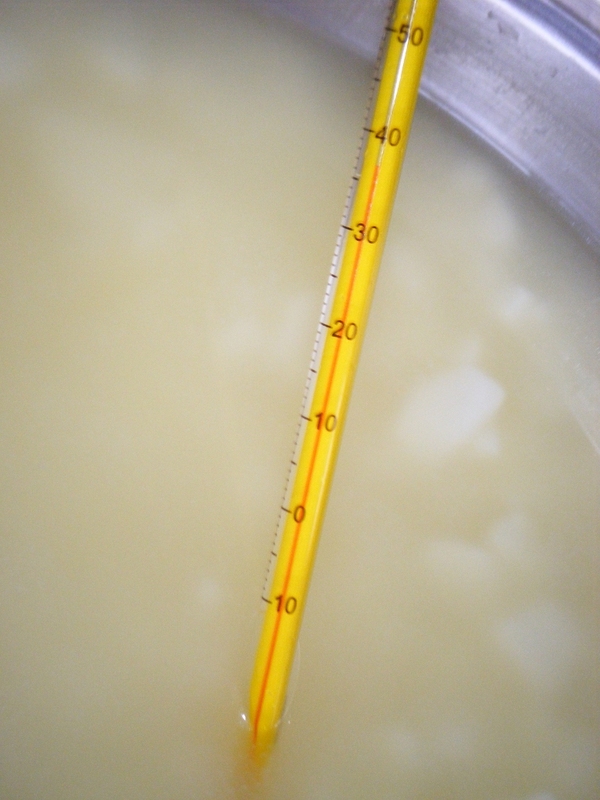 Warm the milk to 20C (68F). 4. 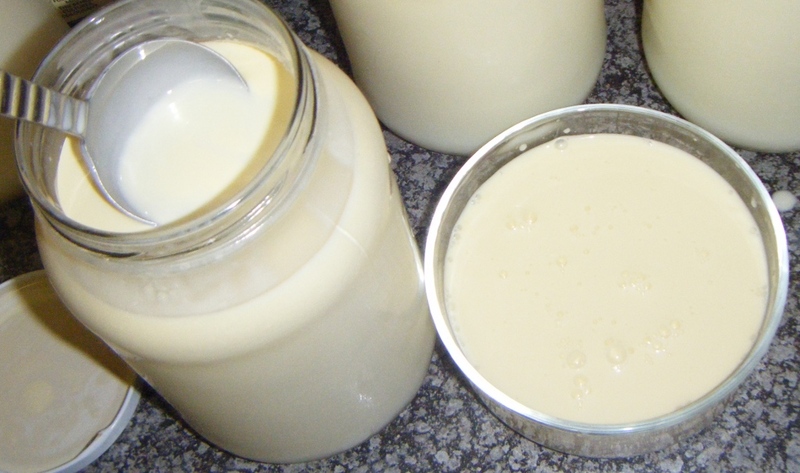 Add 3tsp of buttermilk or 1/3 cup plain yoghurt. This bacterial starter helps to start the fermentation process and lowers the pH so that the rennet will be effective. 5. Store in a warm place overnight. Make sure you have 2 hours available to do this – some parts are critical and the first time you need all your wits about you. 2. Add 3 ??? drops of rennet to 2T water in a small bowl and mix well with the wooden spoon. 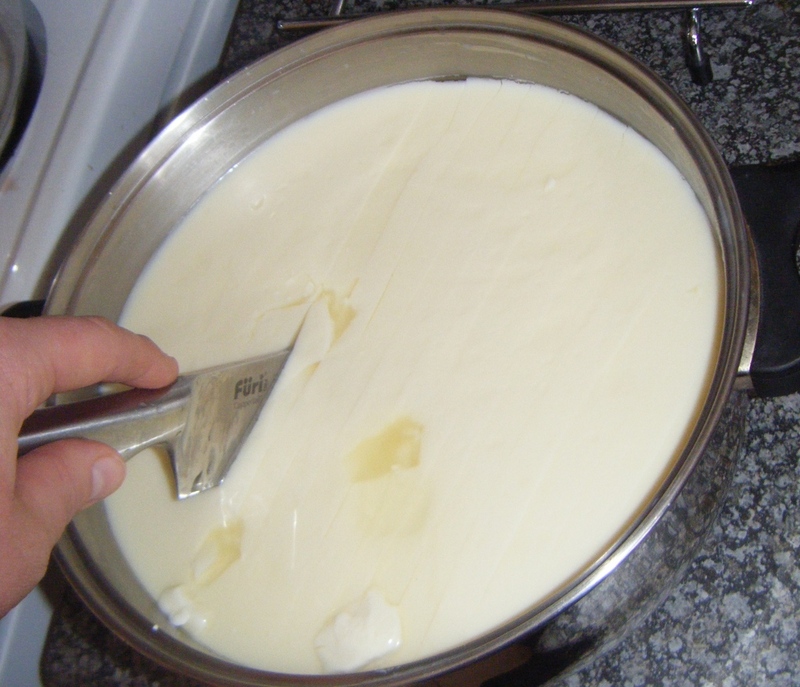 Pour the rennet into the milk when it reaches 30C and stir well. In the USA you can buy rennet tablets (here you would use 1/4 of a tablet dissolved in water. In South Africa I ordered the rennet solution from here?? LINK. 3. 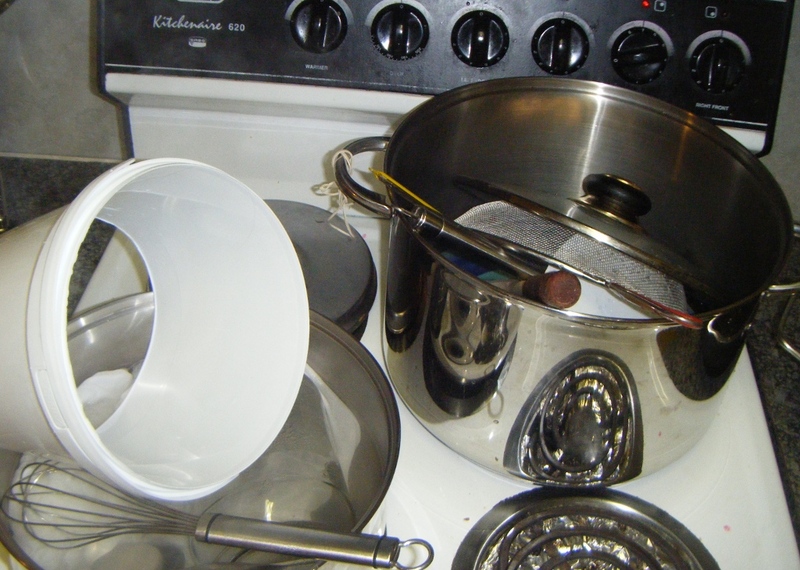 Cover your pot and leave to sit for at least 1 hour. Do not disturb. It is coagulating! 4. 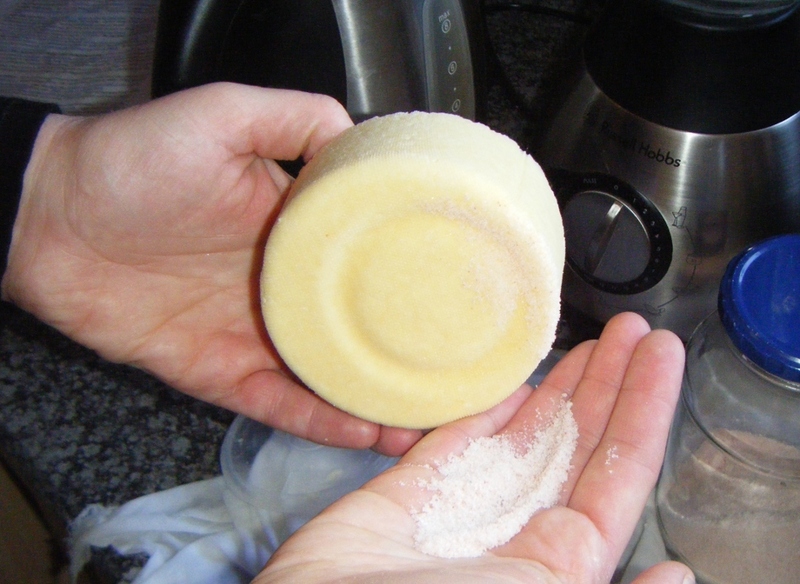 After an hour test for a clean break (if you insert your finger into the mixture and lift it, it should be gel-like and break cleanly around your finger. If there is no clean break, leave for a further hour. 5. 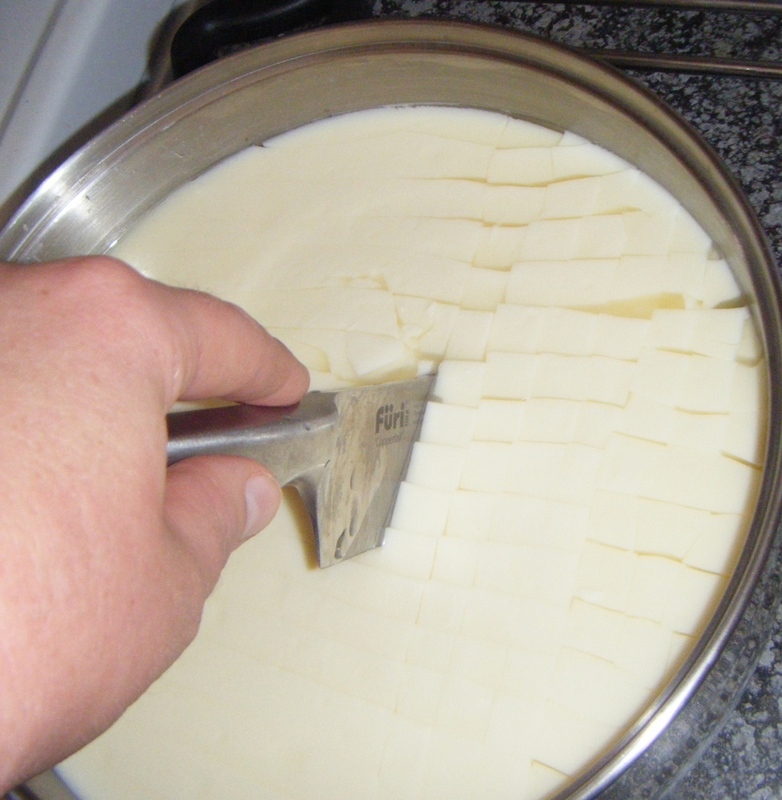 Cut the curd (I love this part!!!) 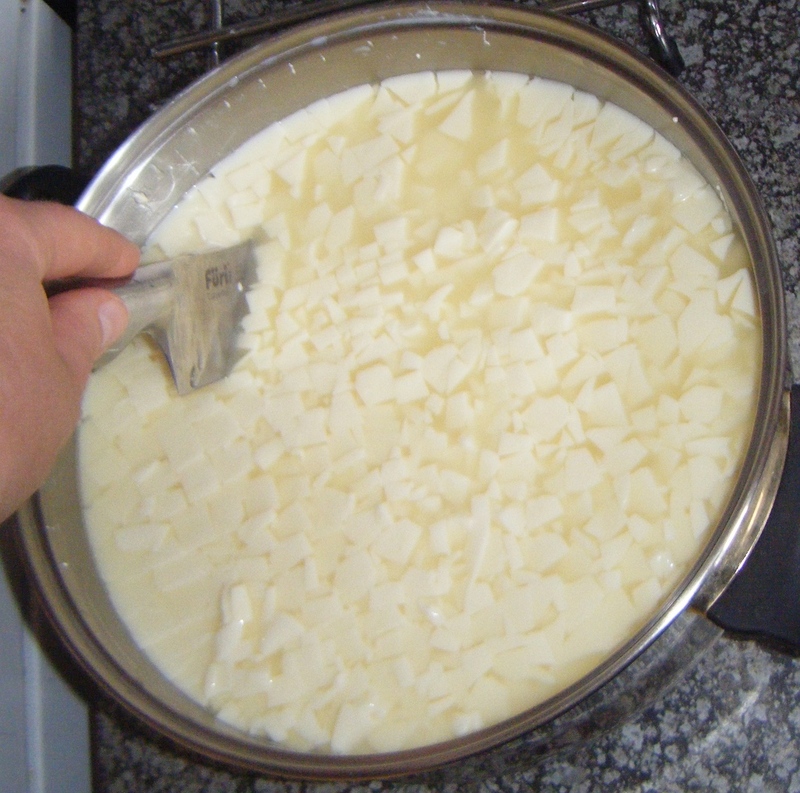 Begin on one side of the pot. 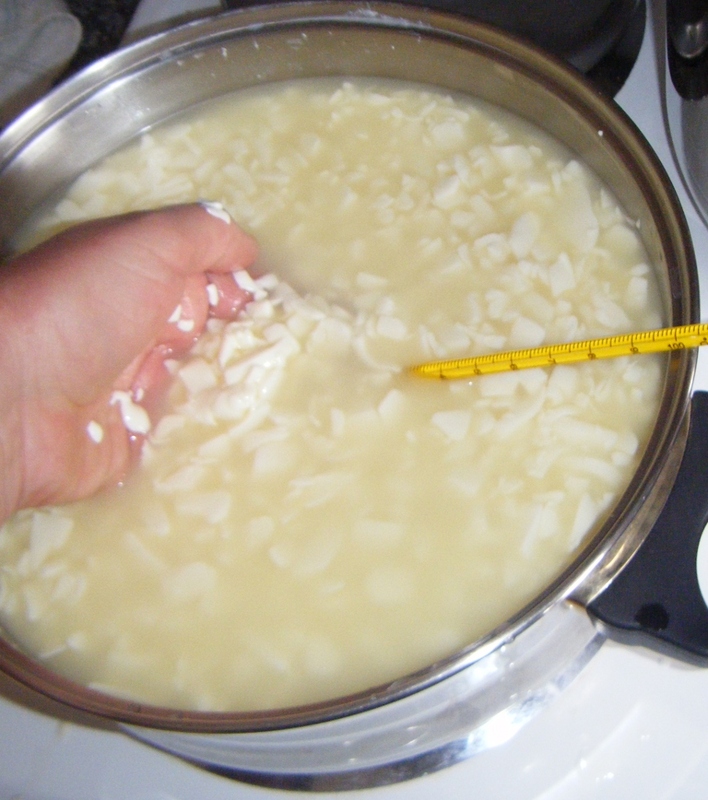 Cut all the way down to the bottom of the pot – all the way across the pot – drawing parallel lines with your knife about 1cm apart. and 90 degrees the other way. Cut each time till you have small cubes. 6. 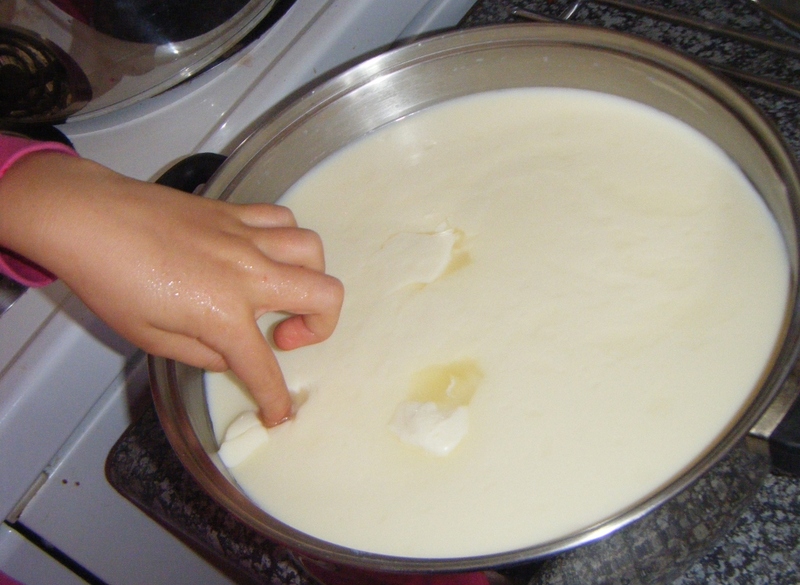 Set the curd by placing the pot over low heat and stir with your clean hand by gently lifting the cubes. Cut any large ones as they appear. 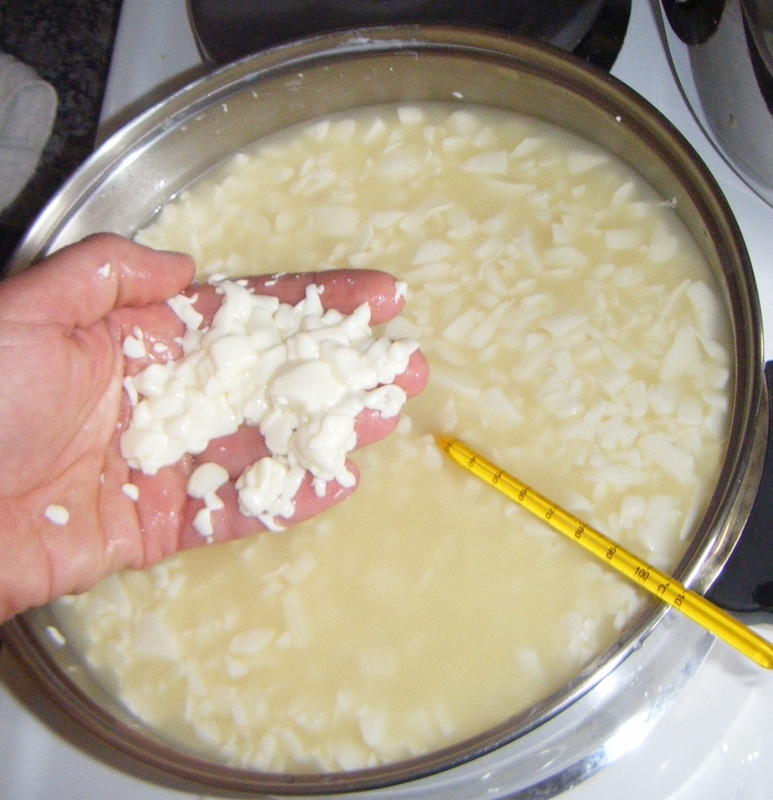 Continue stirring for at least 15 minutes so that the curds don’t clump together. 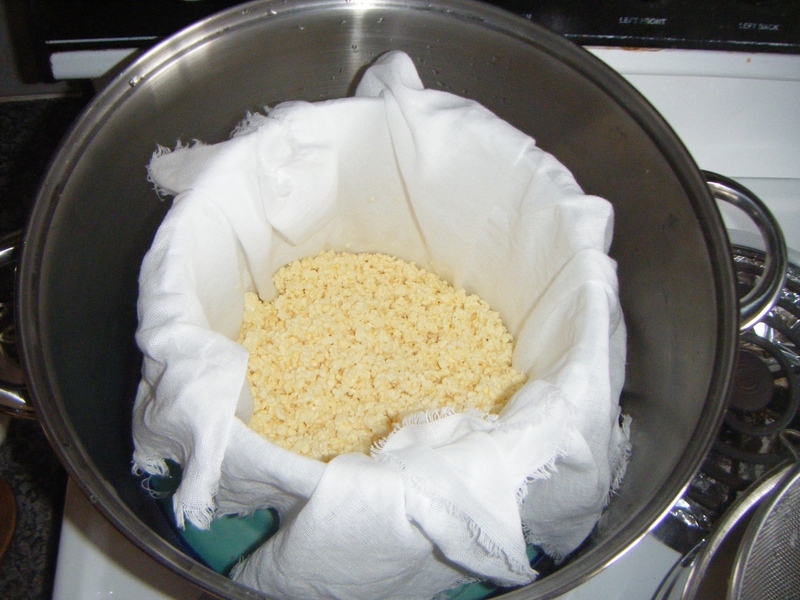 Heat the curds to 38C(100F).?? 7. 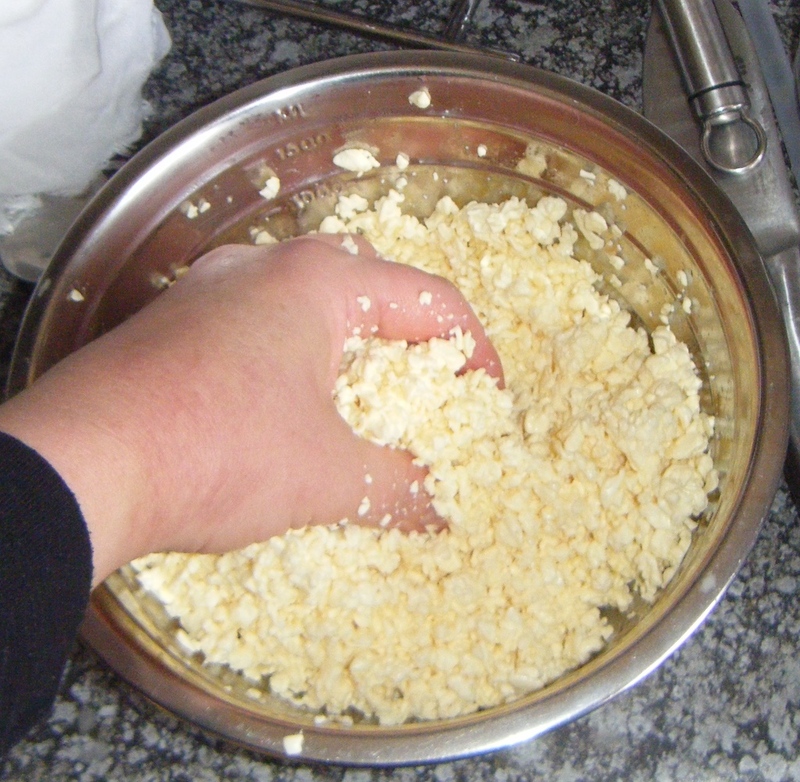 Maintain this temperature stirring continually until curd looks like scrambled eggs in your hand. I know this isn’t easy to imagine – you kind of have to try it. You’ll know it when you see it. Rather go too long than too short. 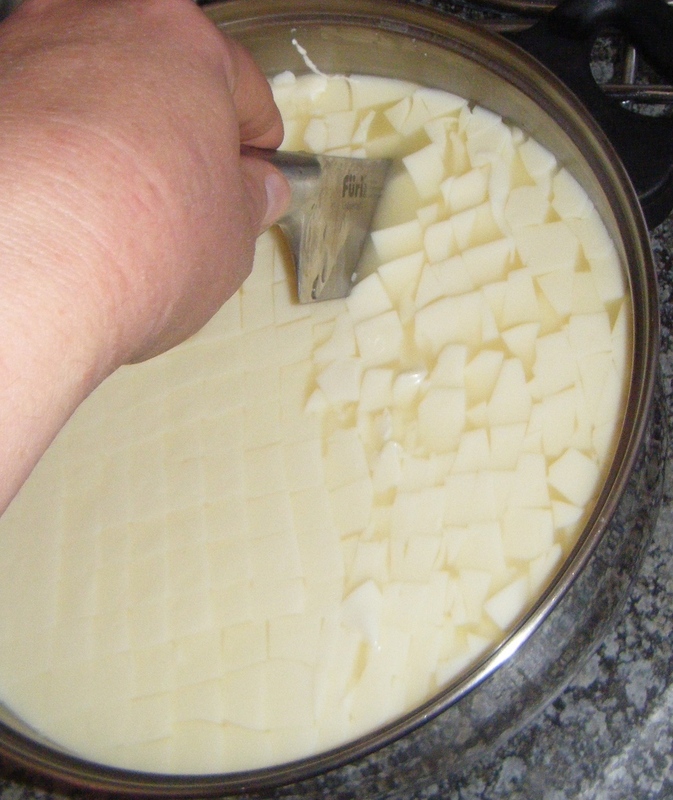 The curds should sink in the whey. 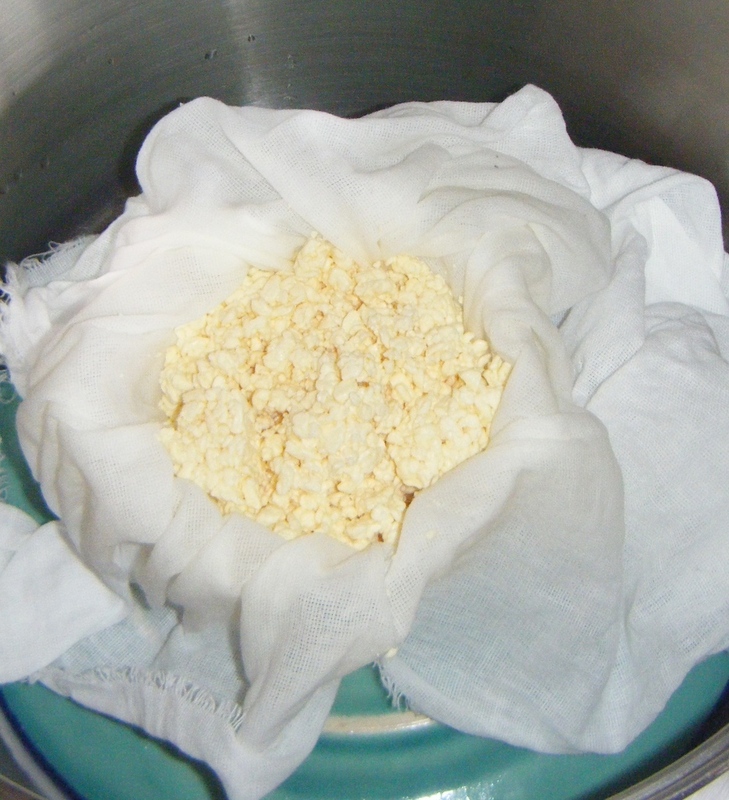 place the curds in the cheesecloth lined sieve or colander to drain off the whey. 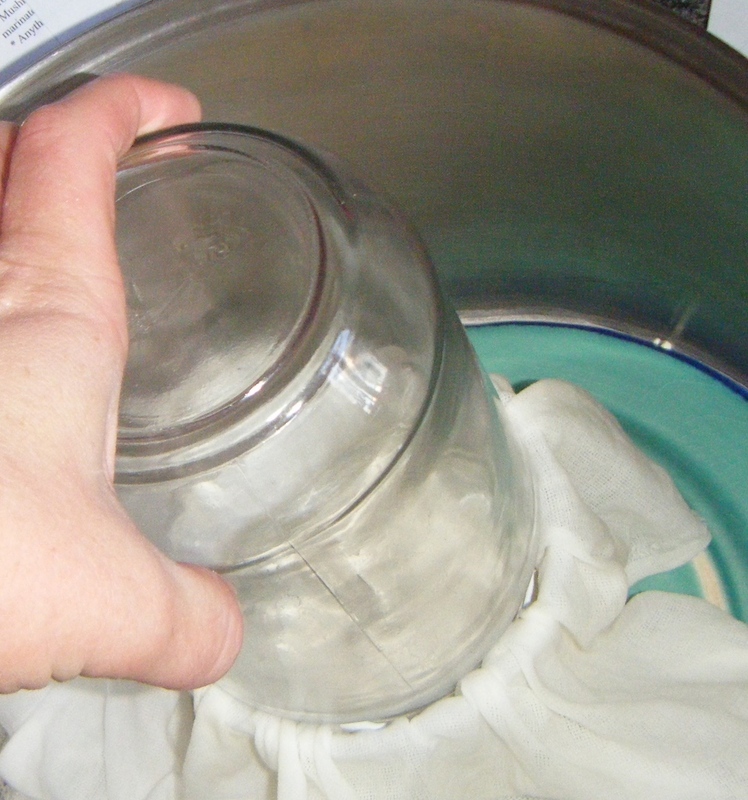 Keep the whey to make ricotta or give it to your dogs as a treat! 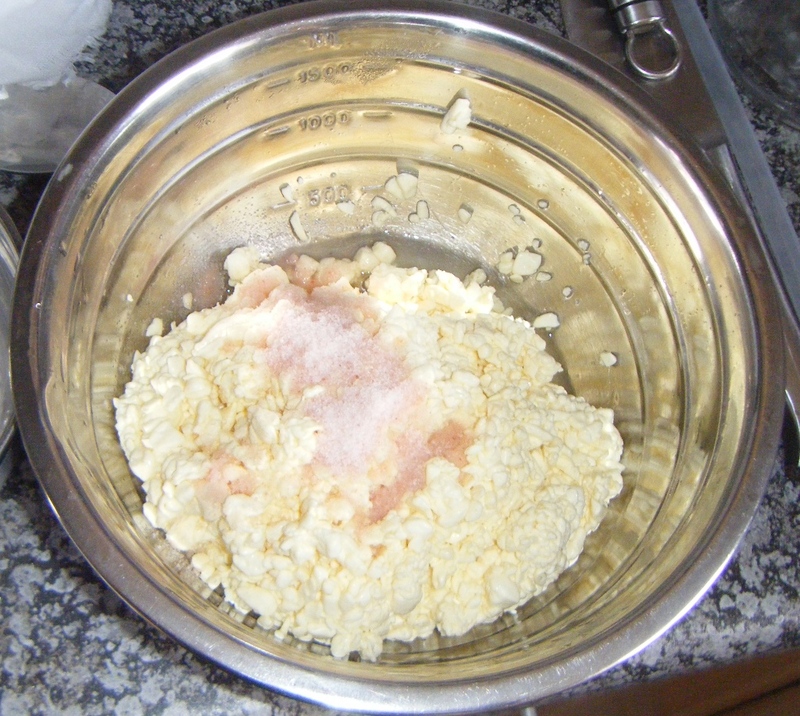 Add 2t salt and mix in. 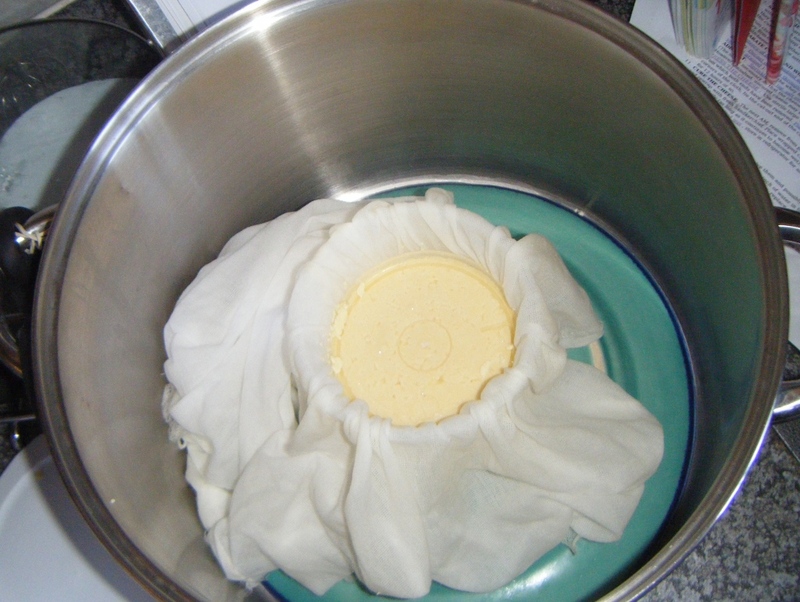 rub the outside of the cheese with salt.Rewrap it in fresh cheesecloth and place in the fridge. Replace the cloth daily if it is wet. 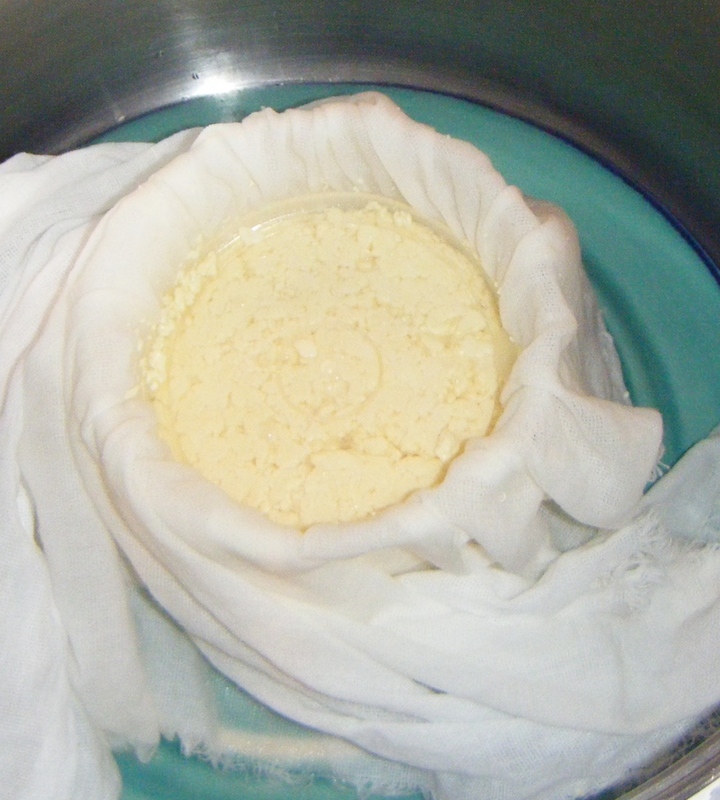 This cheese improves with time – you should leave it for about a month to cure. We left it for about a week (you can wax it after two), we generally eat it after one 😉 We don’t bother with waxing it as we eat so quickly. Delicious!! 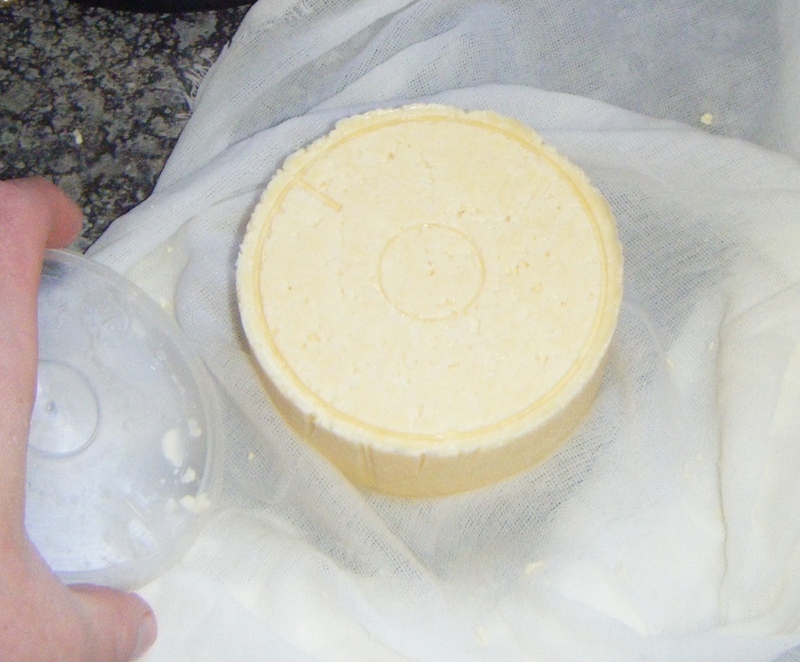 Some day we’ll take it to the next level and make a LARGE cheese.